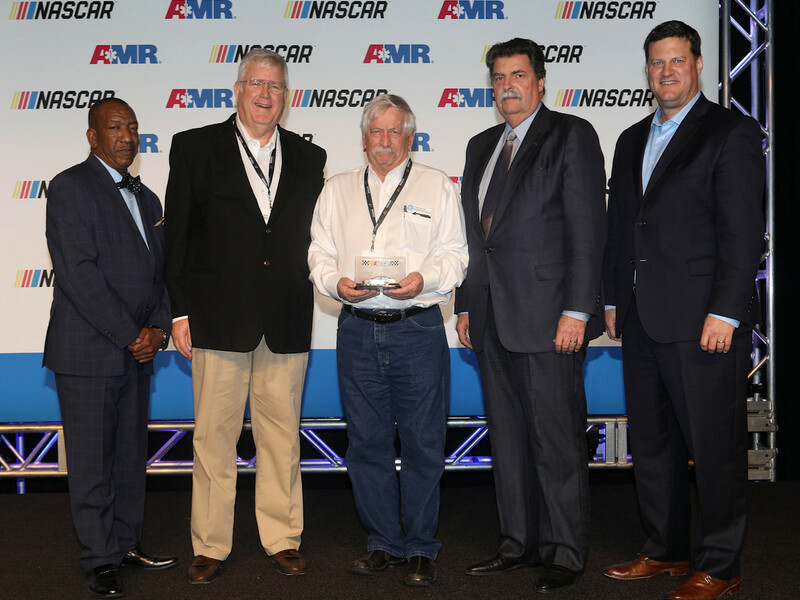 AKRON, Ohio - Tim Arfons, president and founder of The Akron Turbine Group, was awarded with NASCAR's Track Services Mission Award at the 18th annual NASCAR Safety and Operations Summit presented by American Medical Response on January 9, 2018. Track professionals from the U.S., Canada and Mexico were in attendance to receive continuing education and training in preparation for the 2018 racing season. Following the summit, recognition was given to those individuals and tracks who exhibited outstanding performance during 2017. 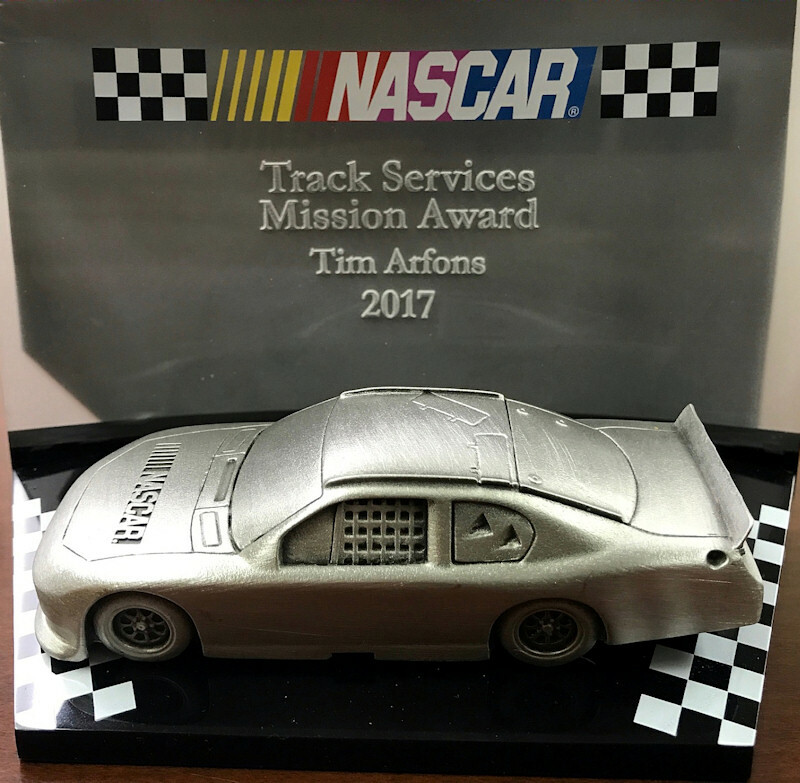 The Track Services Mission Award is given to an individual who goes above and beyond in support of the track services team's mission. Improving the safety of all, at every NASCAR event, through advanced continuing education, qualified training and support for all track services personnel is the mission of the track services team. Arfons has served at NASCAR events for 15 years and uses his advanced jet dryer technology to keep NASCAR tracks dry and free of debris during the races. "I am deeply honored to have received this award. 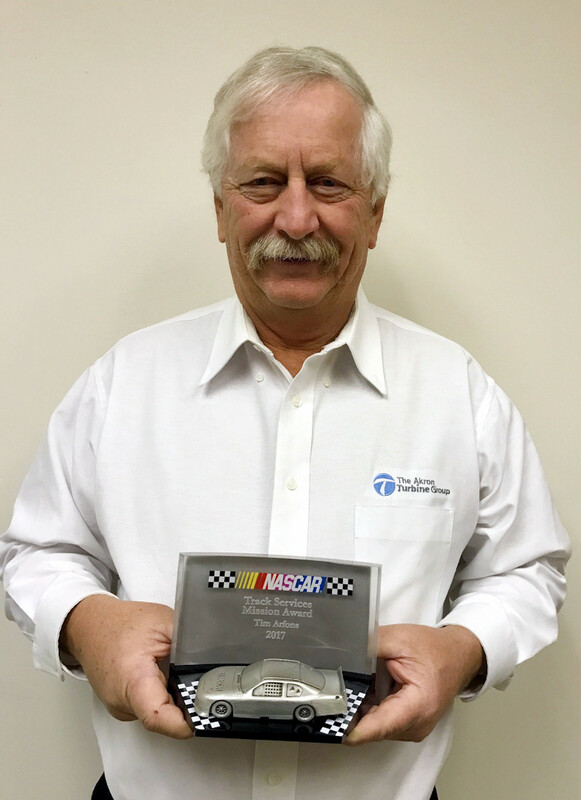 This industry is my passion, and I am grateful to have the expertise to help NASCAR maximize competition during inclement weather," Arfons said.